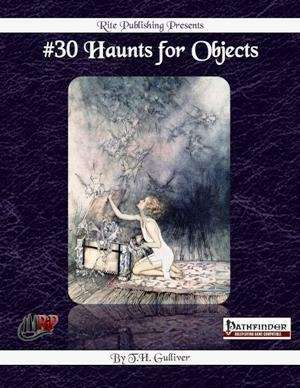 Haunts have been one of the most intriguing and (from my side of the GM’s screen, anyway) entertaining additions to the panoply of challenges to throw at characters… and here they take another novel yet classical twist: the haunt that is associated with an item rather than a location. The actual haunts are associated with a selection of items familiar to anyone who likes spooky stories, particularly those of a darker turn. Charred corpses, bloodied beds… and each one, of course, has a specific method of destroying the haunt, one that is not always obvious so if you use it you will need to work out how to present appropriate clues so that those characters who manage to stop running away and screaming long enough can figure it out. A delightfully sneaky one called the Determined Device, for example, resets a trap which the characters have already disarmed… as well as more classic examples like a flute that forces you to dance, a blisteringly-hot door knob, or a mirror that traps souls. This magnificent array is followed by a description of an abandoned (and of course haunted!) temple and the ghost that masquerades as the resident deity. This location is the one described in the opening flavor text, complete with its own set of apposite haunts, and the whole could be used as a minor adventure in its own right. 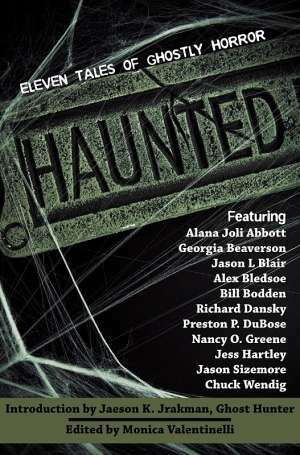 The haunts are all well-developed, with coherent reasons as to how they came to be as they are, and logical ways to dispel and destroy them… can the characters but figure them out! 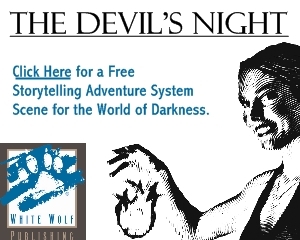 Plenty to play with as you design your next game and pick one or two to terrify, annoy, or distract the characters. Build their stories into the plot you are weaving, and add atmosphere to your game.